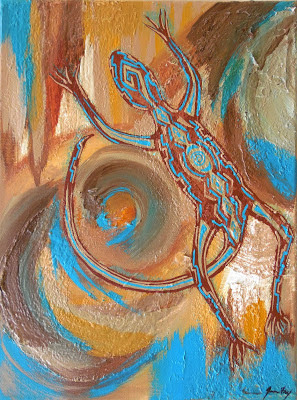 The Lizard Totem is close to my heart, a wonderful guide and teacher, of Connecting with one's intuition, How we perceive the world and each other, and Detachment. My newest lizard painting is called "Earth Lizard". I wanted to portray the strong connection with the Earth. The lizard's skills of being "aware" make him skilled on his journey walking this land. He senses through vibration and has excellent hearing. He moves quickly through life, but at the same time knows when to stop and be still - to be unseen and blend with his environment. These perception skills teach us to pay attention to the things around us, and to learn to trust in our own intuition. He guides us to listen, not only to what is being said, but also to what is not being said...and to see beyond the obvious. Some lizards have the ability to detach or lose their tail when they are in a compromised position. This ability teaches us to let go of the things symbolically that we no longer need in order to move on. The "Earth Lizard" painting brings forth the connection with the Earth and it's elements, soaking in the glow of the Sun and it's healing positive energy. While he is unique and individual in the designs he wears, he can still blend into his environment with ease when needed. When creating this painting, I added a new medium into my use of the acrylics, that brought a rich texture. 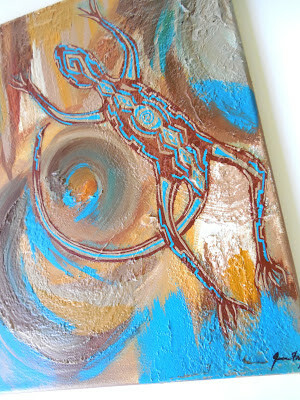 This texture is symbolic of the the lizard's sensitivities and perceptions as he walks the Earth. 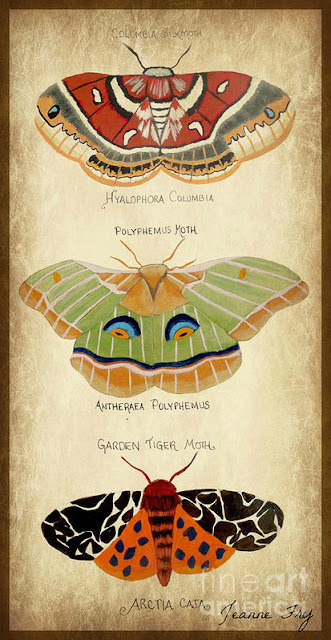 As many of you know, my art tends to revolve heavily around nature and animal totems. Apparently even when I don't necessarily put my mind to it. The night before I had begun a new painting. 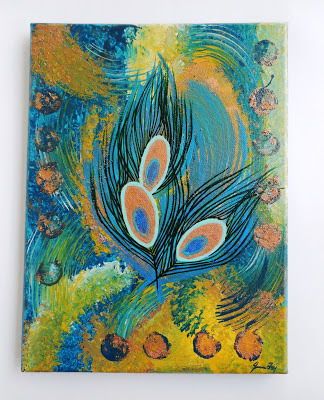 My mood was gravitating to a free flowing of paint, abstractness, color, and raw feeling. Layers and textures, acrylics and mineral pigments came to life on the canvas, almost as if in a quiet meditation. Soon, when I stepped back, I saw the eye of a peacock feather, and allowed myself to follow it's direction. Soon there were three peacock feathers, almost standing at attention, greeting you before you could go further. Beyond where they stood was a rich and complex world, to me...the bigger picture. Connecting with the peacock, and a third eye wisdom symbolized in his feather, afforded a higher knowledge of the vast universe. And so...the painting was named "The Gateway to Higher Knowledge". 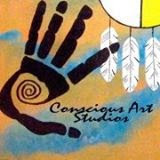 Somehow those animal totems seem to continually slip into my paintings....and I am grateful. Over the weekend I wanted to paint Peace. At first thought, my mind and heart travel to another place and time. Having followed Buddhism for many years, the initial visual images that came to me were the Om Mani Padme Hum mantras written in Sanskrit, Prayer Flags, and the Buddha's Eyes, which quickly appeared on the canvas. The Om Mani Padme Hum mantra is commonly found written on large stone tablets or on small pieces of paper that are inserted into prayer wheels. Prayer flags are used to spread blessings to an area and all that can feel their prayers being carried in the wind. Their colors represent the five elements. The symbol of the Buddha's Eyes (wisdom eyes), represent the all seeing wisdom and the way to enlightenment. The Spirit of Tibet has become one of my favorite paintings, truly touching my heart with peace. My most recent crow painting is called the Tao of Crow (or the Way of Crow). 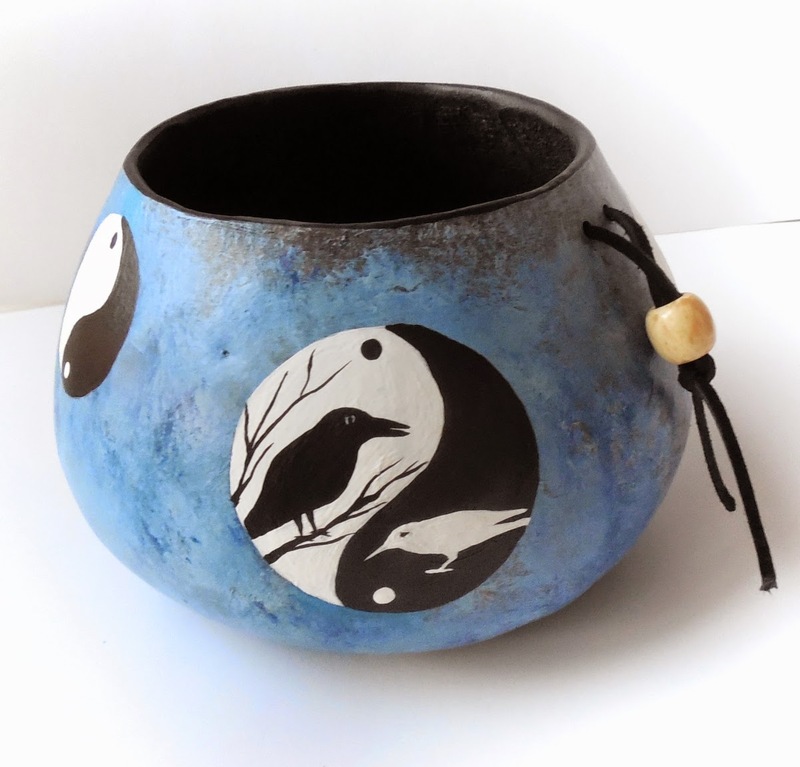 The painting is simplistic yet complex, with a Black Crow and a White Crow painted within a Yin Yang symbol. The Yin and Yang in Chinese culture represents a perfect balance between opposites, how those opposites compliment one another in a harmonic peace. Go forward fearlessly and speak your truth. Your authenticity ensures success. I will watch over you, for together we can accomplish anything. Adaptability is the key, for when we are open and flexible, we find there is always a way. Where one finds Fear, they also find Courage.